The City of Tshwane (CoT) in collaboration with the CSIR launched the Tshwane Water Resource Management Network (WRMN) under the theme: Resilience and innovative thinking in water resource management in late 2015. The WRMN is a flagship that emanated from resolutions of the 2015 Tshwane Research Symposium and is championed by the CoT's Research and Innovation Department and the CSIR to foster a culture of knowledge-sharing and exchange. The network’s aim is to bring together CoT officials, water industry professionals, government officials, academic and research scholars, as well as key stakeholders to share ideas, experiences, solutions, and consider how to expand and enhance the issues of water resources management from the CoT's perspective. Hina Patel, Executive Director: CSIR Meraka Institute highlighted that the vision of South Africa's Water Research, Development and Innovation (RDI) Roadmap is to improve water resources management in South Africa in order to position the country as a leader among the middle income countries in the development and deployment of water management practices and technologies. "From the CSIR side, it is a privilege to chair this network where we can all together create a real impact in our city and the nation thereof," she says. 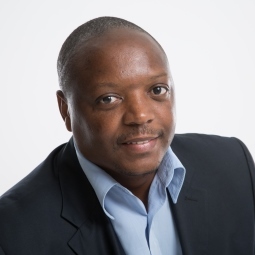 Giving context to the network Zukiswa Ncunyana, Strategic Executive Director, Research and Innovation Department: CoT has noted the water challenges faced by South Africa. She says, "Water is a critical resource necessary for sustainable socio economic development and growth. SA is a water stressed country, characterised by low rainfall, limited underground aquifers, and increasingly dependent on water resources outside its borders. Addressing water issues requires a collaborative effort between CoT and key water stakeholders, hence, the establishment of the network." Dr Adnan Abu-Mahfouz, a senior research engineer at the CSIR and Chair of the network highlighted the urgent need for this network to investigate the development of an adaptive and integrative water resource management that manages the entire value chain to ensure a sustainable water future. "An efficient water resource management requires a real multidisciplinary and inherently interdisciplinary collaboration to implement the appropriate strategies and ensure the availability of required skills and capabilities," he says. The key stakeholders of the network include the National Department of Water and Sanitation, the Water Research Council, Rand Water, the Development Bank of South Africa, the South African Local Government Association, the Water Institute of Southern Africa, the Universities of Pretoria and South Africa, and the Tshwane University of Technology, among others.